Google has confirmed it is rolling out a parental targeting feature in the US. First spotted by WordStream's Larry Kim, the new Parental Status tab appears in the AdWords dashboard. It contains three targeting options: parent, not a parent and unknown. It sits alongside age and gender as demographic data advertisers can use to target their PPC campaigns, by adjusting bids or excluding these segments. "Interest-based ads on our display network, including parental interests, have been around since 2009. We've made some changes to this in the AdWords interface for display campaigns. It uses the same system based on website visitation and users can edit or opt out of these ads on our Ads Settings page. As always, we don't allow ads to be targeted to sensitive categories like health, race or sexuality." In a separate statement in a Google Partners community group in early June, the search giant confirmed the update is currently being tested on 5 per cent of advertisers, and will roll out to all US advertisers towards the end of the month. Google has repeatedly stressed the importance of the relevance of AdWords ads; targeting towards a demographic could therefore be seen as a step towards improving relevance. But why choose parenthood over other demographic segments? Google said just 14 per cent of internet users are "moms with children in the household". However, a recent study by Google's Think Insights revealed that new parents conduct twice as many searches as non-parents; impressions on child-related terms could therefore be high. What's more, the cost of raising a child was estimated earlier this year at £227,266 - making it a very lucrative market. 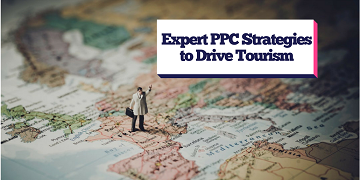 Eugene Henry, head of PPC at theEword, commented: "Careful targeting is of course central to a PPC campaign, and this could be beneficial to businesses that sell toys, family holidays, children's clothes and so on. If this is the first of many such demographic options, it could get very interesting."